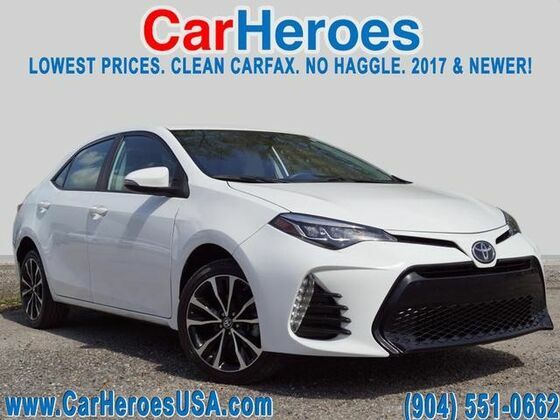 This outstanding example of a 2017 Toyota Corolla SE is offered by CarHeroes. This Toyota includes: SUPER WHITE BLACK, FABRIC SEAT TRIM W/SOFTEX Cloth Seats Premium Synthetic Seats *Note - For third party subscriptions or services, please contact the dealer for more information. * This is the one. Just what you've been looking for. This is about the time when you're saying it is too good to be true, and let us be the one's to tell you, it is absolutely true. There are many vehicles on the market but if you are looking for a vehicle that will perform as good as it looks then this Toyota Corolla SE is the one!